Author Joel Masson shows off a sac-a-lait he caught from a cut off the Tchefuncte last spring. 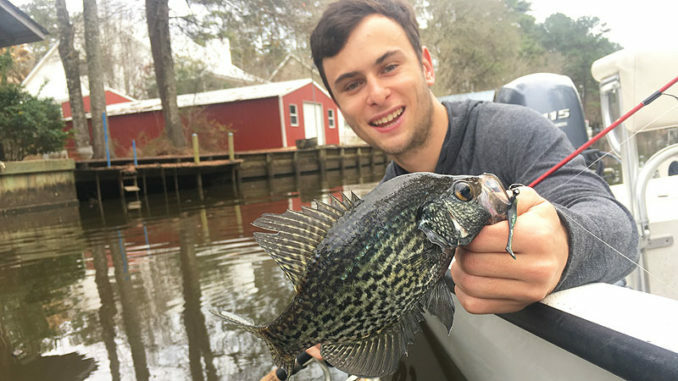 There’s no better tasting fish than sac-a-lait, and this month, the Tchefuncte River is typically full of them. Avid angler Jeff Bruhl starts fishing them this month in the pre-spawn period. When he’s fishing them in this early phase of the spawn, Bruhl focuses on structure close to the bank in the cuts off the main river. To target these fish, Bruhl throws 1/16-ounce crappie jigs tipped with Berkley Crappie Nibbles at the base of trees. 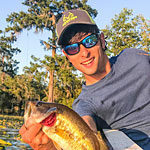 Bruhl also throws Roadrunner baits in front of the cypress trees and laydowns. Bruhl fishes cypress trees or laydowns on a bank going into a pocket. Staging areas like this one can hold pre-spawn sac-a-lait. Bruhl also said not to neglect fishing a little further off the bank. Like many sac-a-lait anglers, Bruhl likes jigging poles. He uses a C-Series by Berkley, but he likes a shorter length than most guys. Bruhl uses 8- or 10-pound monofilament on his reels, unless he’s fishing with live bait. 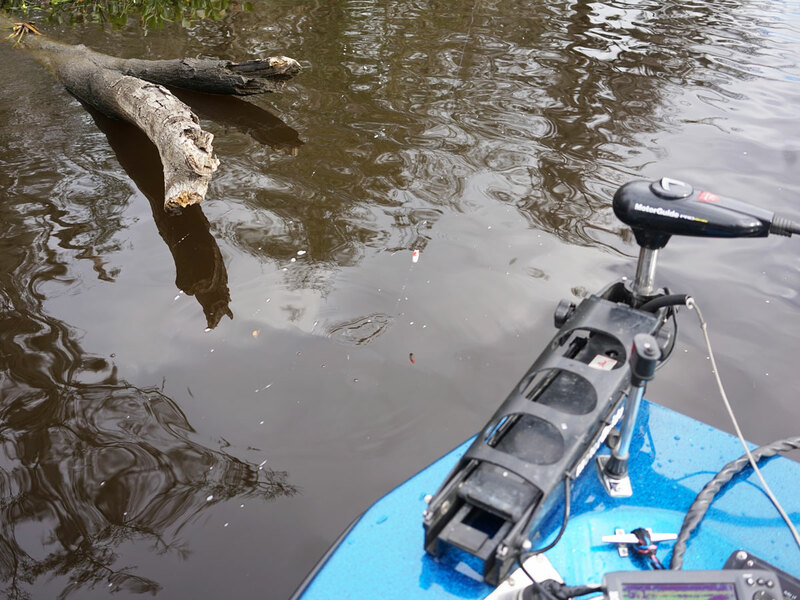 “If I’m using a cork with shiners, I might use 20-pound with a leader on a swivel that is 8-pound test because if I get hung up, I just break the hook off with the leader and tie another one on instead of having to rig the whole cork up,” he said.